With more than 50 years of activity in industrial soundproofing, Stopson Italiana will bring its expertise gained in 20 thousand projects worldwide, most of them accomplished within the Oil & Gas sector. The Milan based company will present the technological features of its soundproofing products – like Vent Silencers, Engine Exhaust Stack, In-line Silencers and many more, in the world’s leading conference and exhibition for the European Power Generation industry. For all those attending, Stopson Italiana will make available its technical expertise to support any demanding requirements to develop new sound-proofing and noise abatement solutions in the Gas Industry. Visit us at Gastech Barcelona, Spanish Pavilion – Booth G160! Gastech has fast become a next generation energy event, hosting major NOCs, IOCs, integrated energy companies, global utilities, EPC contractors, shipbuilders, pipeline companies, manufacturers, technology providers and service companies all of whom play an active role in the global energy value chain. 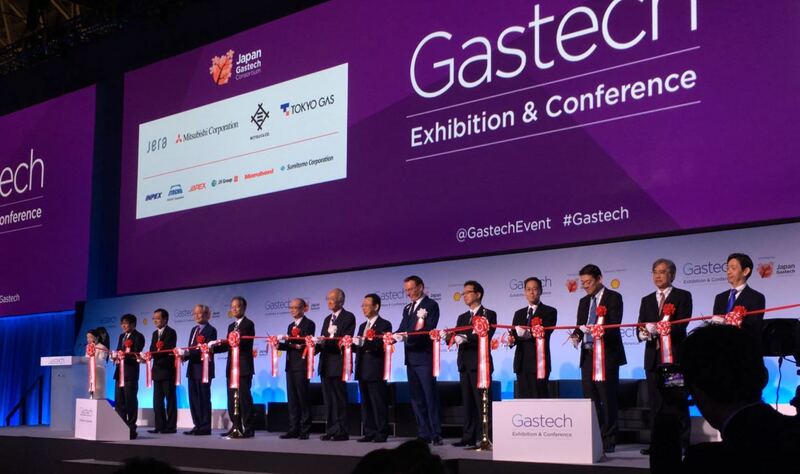 Gastech has been at the forefront of the gas and LNG business for more than four decades, with each edition being supported by a host partner since 2002. With more than 3.500 International Conference Delegates, 1.200 C-Level & Ministerial Attendees and 350 speakers (regarding upstream, midstream and downstream value chains), the event encompasses also a Conference consisting of the Plenary Stage, Strategic conference and Technical conference streams, and four Specialist Conferences. Gastech’s four-day, multi-streamed conference is regarded as the industry’s most important platform to debate and discuss the global issues and challenges facing the gas and LNG community in 2018 and beyond. The program features ministerial sessions, CEO panel sessions, and commercial sessions, along with the world’s largest technical conference. Gastech 2018 will take place in Barcelona (Fira Gran Via), September 17-20, and Stopson Italiana will be exhibiting in the Spanish Pavilion – Booth G160. In its inaugural year as Electrify Europe, the re‑imagined event (previously “Power Gen”) will be dedicated to the convergence underway between the power generation and the transmission and distribution sectors, driven by digitalization, decarbonization, decentralization and electrification. With the aim to attract over 11.000 delegates and attendees from more than 85 countries, Electrify Europe represents the industry’s premier conference and exhibition dedicated to the power generation, renewable and alternative energy and transmission and distribution industries. In this year of rebranding, the trade show has extended its conference program including keynote and plenary sessions addressing key issues affecting the sector. Among these: E‑mobility, Cybersecurity, AI, Blockchain, Demand Side Response and Energy Storage. Read full program here. C.O.R.U. Project – no. 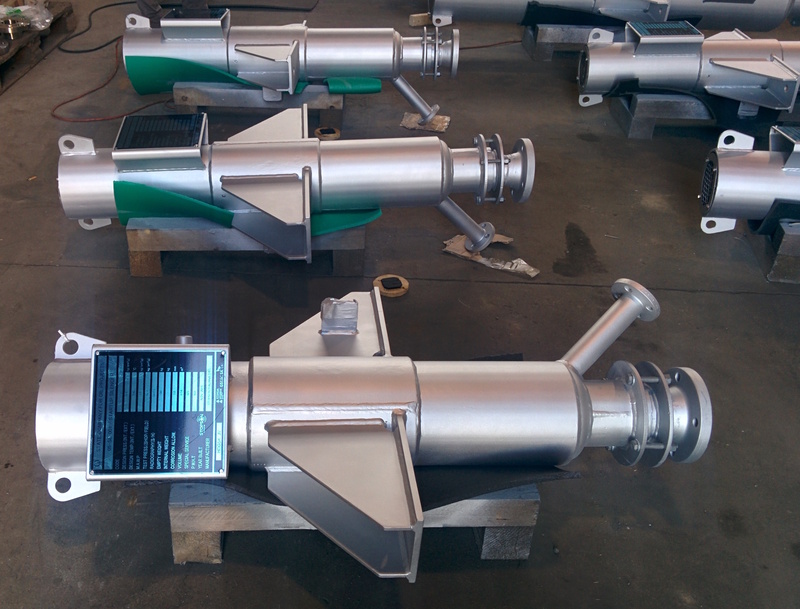 10 SPM and PSP vent silencers for the Combined Oil Refinery Unit, with flow rates from 0,4 to 46 t/h. Temperatures from 150 °C to 450 °C, noise levels 80 dB(A) @ 1 m.
Kingisepp Project – No. 9 SPM vent silencers for the Ammonia plant, i.e. Steam and CO2 with flow rates from 1 to 130 t/h. Temperatures from 110 °C to 515 °C, noise level 85-110 dB(A) @ 1 m.
All silencers have engineered according to the highly demanding EPC and end user’s technical specifications. They have been manufactured in Italy in special materials, including stainless steel for internal components, and certified in accordance with EAC TR CU 010 standards for Russian market. Stopson’s Vent Silencers can be installed downstream any device acting as a link between a container of pressurized gaseous fluid and the atmosphere. The vent silencer can also provide high or low back pressure relief for the system ensuring proper operation. SPM Vent Silencers, used for higher flows and back pressure, are based on a combined reactive and absorptive principle for noise reduction. The gases expand to atmospheric pressure through a perforated diffuser, providing a first important step in attenuation. The flow evolves into a sound-absorbing lining section to further contribute to reach required noise residual level. 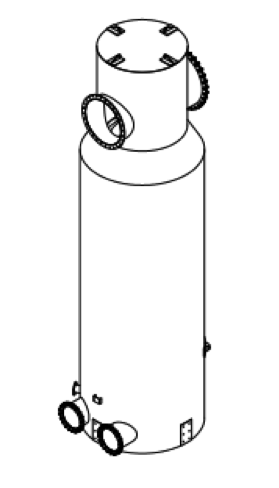 PSP Vent Silencers, used for lower flows and back-pressures, feature an expansion chamber upstream the final absorptive section with no diffuser at the inlet. A special sound-proofed weather hood is finally heading flow and noise upward, while delivering an effective rain protection and drainage. Vent silencers can be reactive, absorptive or combined type depending on applications and required attenuation, which can reach as much as 75 dB(A). The noise pollution is considered nowadays a crucial aspect in the selection and construction of manufacturing plants. Noise is defined as, “the unwanted, unpleasant or disagreeable sound that causes discomfort to all living beings”. One dB is the faintest sound that a human ear can hear. Unless levels are above 85 decibels, noise pollution should not be a problem in the workplace. Federal occupational safety and health mandates state that if the noise produced by heavy machinery or equipment is in excess of these levels, employers must control noise pollution through engineering and administrative controls. The environmental noise has been doubling every ten years; The Indian Institute of Oto-Rino Laryngology, Chennai reported, in facts, that increasing industrial pollution damages the hearing ability by at least 20%. Workers in steel industry, who work close to heavy industrial blowers are exposed to 112dB for eight hours suffer from occupational pollution. Noise is classified as: Industrial Noise, Transport Noise and Neighbourhood noise. The first one is caused by industry machines, and it entails noise pollution caused by machines from machines in various factories, plants (e.g. Power Generation and Oil & Gas), industries and mills. Additionally, other crucial factors have to be determined, such number of exposed workers, type of work, amount of time spent to the noise’s exposure etc. Where possible, noise levels should be evaluated at locations occupied by workers’ ears. The noise control planning is based on a “A-weighted immission” (or noise exposure levels) for which the respect of standard ISO 11690-1 is recommended. Any noise problem may be described in terms of source, transmission path and a receiver (e.g., a worker); thus a noise control plant needs to take into account the relative combinations of this different factors. The better phase to project a soundproofing system lies in the original design. In fact, when noise control is included in the first design of a new plant (or factory), advantages both in terms of overall performance and costs’ reduction arise. When noise cannot be controlled to an acceptable level at the source, attempts has to directed to control it at some point during its propagation path. For this reason, an important part of the process consists to identify noise sources and to sort them in terms of contributions to excessive noise. When the requirements for noise control have been quantified, and sources ranked, it’s possible to consider various options for implementing the control, determining the cost effectiveness of the various options. Generally speaking, some studies put in evidence that the cost of enclosing a noise source is much greater than modifying the source or process producing the noise. Stopson Italiana produces fully customized solutions for all type of plants and applications: Boilers, Heat Recovery Steam Generator (HRSG), Turbomachinery, Venting systems, Combustion engines and Industrial equipments. After its recent participation to Power-Gen Europe, Stopson will fly to Seoul to present its new brand and showcase the technological excellence of its products and services. 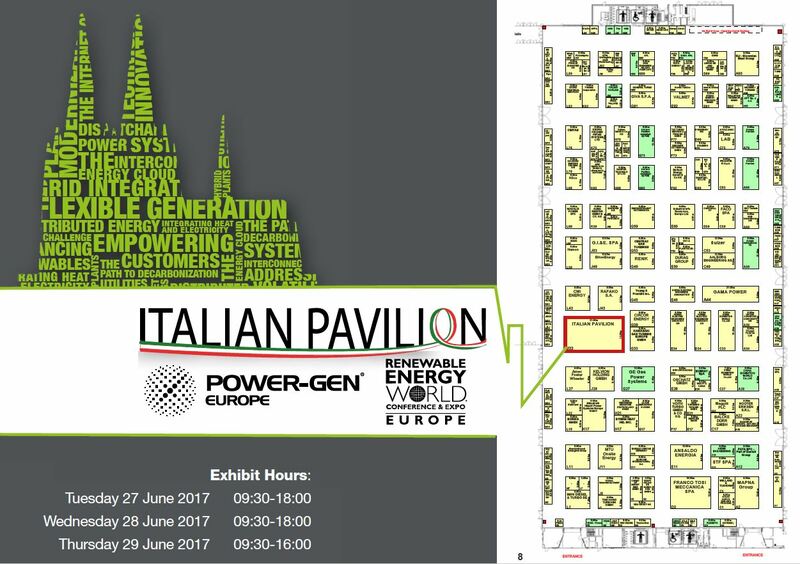 For all those attending, Stopson Italiana will make available its technical expertise to support any demanding requirements to develop new sound-proofing solutions in the Power Industry. POWER-GEN Asia has, over its 24 year history, become the leading force in delivering a platform for the power industry to meet, share information on the challenges facing the power industry and discuss solutions for advancing Asia’s energy future. 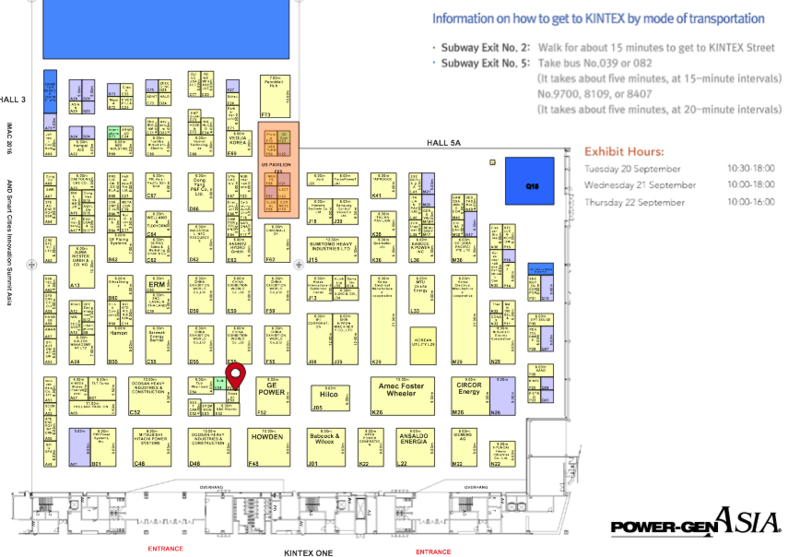 Visit us at Power-Gen Asia, booth E53! Attracting over 8,300 delegates and attendees from more than 85 countries across South East Asia and around the world, it is the industry’s premier conference and exhibition dedicated to the power generation, renewable and alternative energy and transmission and distribution industries. Benefit from four days packed with technical tours, more than 50 conference sessions, panel discussions, a comprehensive exhibition and multiple networking events as we move the event outside of the ASEAN region for the first time in over a decade. With its rising prominence in the global economy, developing Asia’s energy capacity has become a major focus within the marketplace. Asia’s energy needs will expand in tandem with its growing economic influence. Expanding renewable energy sources will not be enough to meet future demand alone. Consequently, Asia needs to invest in making conventional power cleaner and more efficient. Power-Gen Asia 2016, will take place this year in Seoul, September 20-22, and Stopson Italiana will be exhibiting at Booth E53. Flawless completion of the supply to HDGSK JV for the SCOP refinery plant in Karbala province. Stopson Italiana has recently completed delivery of 30 silencers to be installed at Karbala Oil Refinery in Iraq for HDGSK JV, the joint venture led by Hyundai Engineering & Construction (HEC) with GS Engineering & Construction Corporation, SK Engineering & Construction Company Limited and Hyundai Engineering Company Limited. 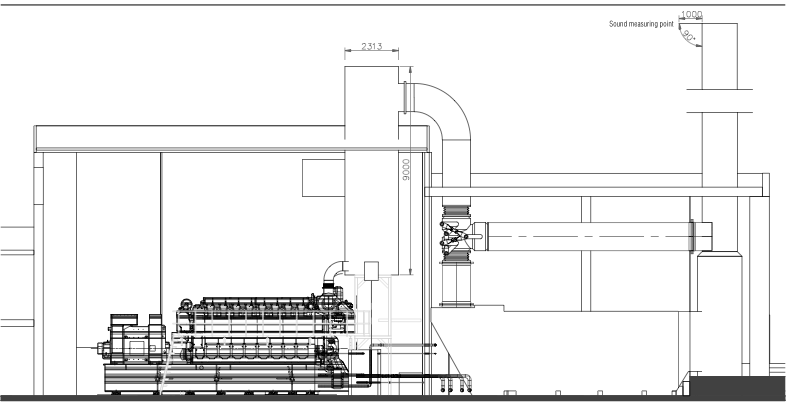 10 vent silencers for the chemical equipment section including vacuum distillation, i.e. 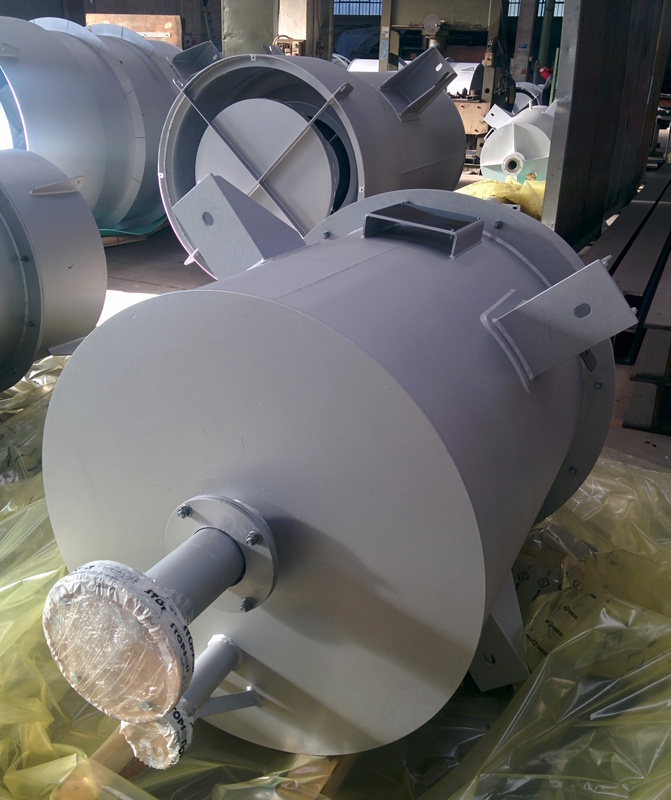 steam and mix of steam and methanol or H2, with flow rates from 10 to 40 t/h, temperatures from 388 °C to 456 °C, noise levels 85-90 dB(A) @ 1 m.
15 vent silencers for the petroleum processing section, i.e. steam, mix steam air and N2 with flow rates from 0.5 to 33 t/h, temperatures from 194 °C to 375 °C, noise level 85 dB(A) @ 1 m.
5 vent silencers for the utilities section, i.e.HP-LP-MP-Start-Up steam, with flow rates from 6.6 to 73 t/h, temperatures from 220 °C to 400 °C, noise level 90 dB(A) @ 1 m.
All silencers have been engineered according to the highly demanding EPC and end user’s technical specifications and manufactured in Italy in special materials, including stainless steel for internal components. SPM Vent Silencers, used for higher flows and back pressure, are based on a combined reactive and absorptive principle for noise reduction: the gases expand to atmospheric pressure through a perforated diffuser, providing a first important step in attenuation; the flow evolves into a sound-absorbing lining section to further contribute to reach required noise residual level. Saudi Arabia and Russia agree on oil co-operation that could limit supply. The news has been spread around in a matter of seconds. Saudi Arabia and Russia together for an ‘historic’ oil market co-operation. The core of the deal has been focused on the output’s limitation, with the aim to boost the oil prices sharply higher to tackle a global glut. In a joint-statement taken place during the the G-20 summit in China (last Monday), Russia and Saudi Arabia recognized the need to contain excess volatility in the market (source Telegraph). The two oil giants will thereby establish a working group to monitor the market and draft recommendations to keep oil prices steady and ensure solid investments in the industry. 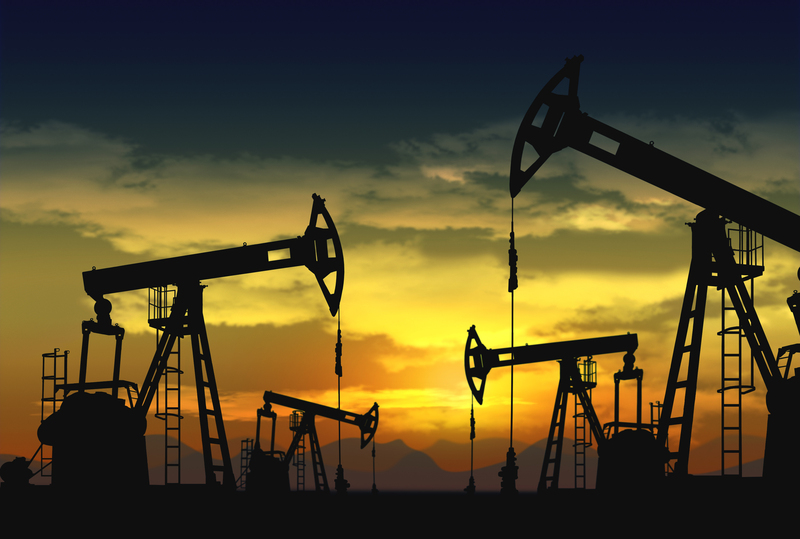 Crude oil futures rallied heavily in the build-up to the announcement and pared back slightly afterward. WTI futures for October remained over 3 percent higher on the day, however, at a little under $46 per barrel. Russian Energy Minister Alexander Novak said that the countries are now discussing the details of a supply freeze deal ahead of an informal meeting of the Organization of Petroleum Exporting Countries (Opec), together with Russia, later this month in Algeria. “We are considering a production freeze as the most efficient tool, concrete parameters are being discussed at the moment,” he argued. One of the other hot topic concerned the agreement between the two countries to exchange information and experience about new technologies in the oil and gas, and power generation sectors. Considering the several attempts to boost crude prices by freezing OPEC’s output have fallen in the past, the present deal seems to be presented as “historic moment” by the same Novak, particularly because Saudi Arabia has been wedded to keeping output high to hold market share. In facts, Saudi Arabia is de facto leader of the oil cartel, but Russia is not a member. 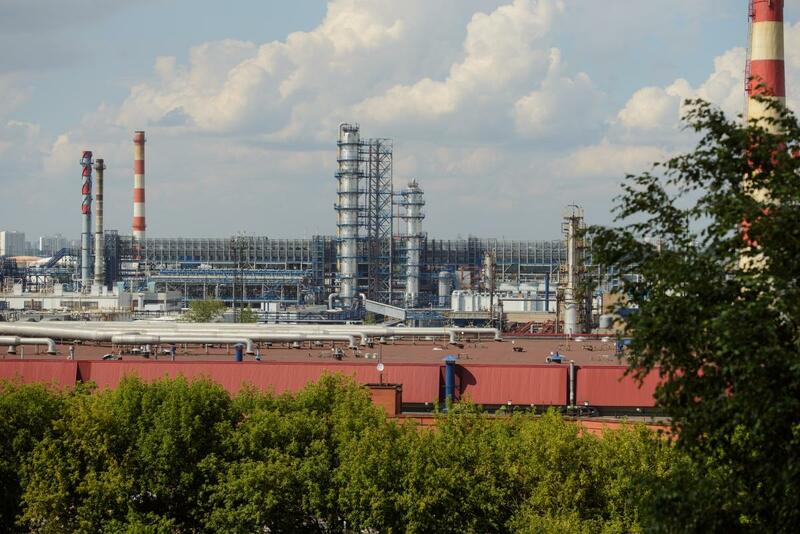 Major project win from Saipem for the Saudi Aramco – Jazan IGCC Gasification Pack 1 expected to be delivered end of 2016. Stopson Italiana has been recently awarded by Saipem SpA a major contract for the supply of 15 Oxygen, 15 Process Steam, 15 Start-up Steam and 4 HHP Steam Silencers for the gasification unit at Jazan IGCC (Integrated Gasification Combined Cycle) power plant project. 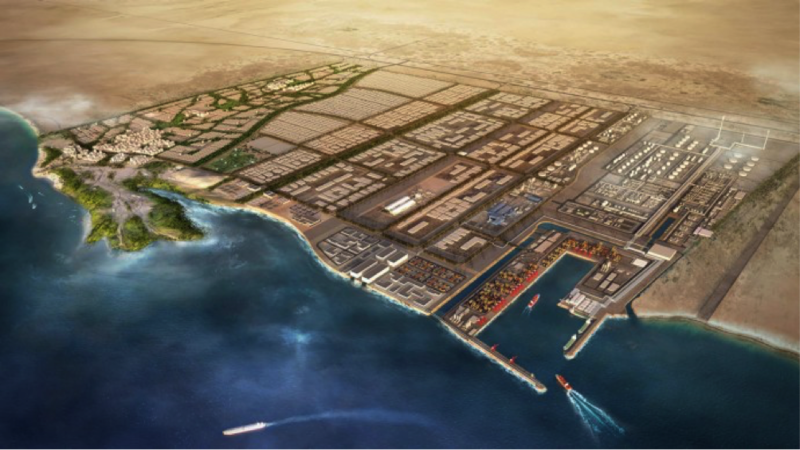 The 2,400 MW Jazan plant will be the world’s largest gasifier-based power plant to be located adjacent to the 400,000-b/d refinery under development at Jazan Economic City, Saudi Arabia, where Stopson Italiana also supplied silencers to JGC Corporation. The 49 vent silencers will be engineered according to the highly demanding Saipem and Saudi Aramco’s technical specifications and manufactured in Italy in special materials, including Monel 400 for the Oxygen silencer. Stopson’s silencers are based on a combined reactive and absorptive principle for noise reduction: the gases expand to atmospheric pressure through a perforated diffuser, providing a first important step in attenuation; the flow evolves into a sound-absorbing lining section to further contribute to reach required noise residual level. A special sound-proofed weather hood is finally heading flow and noise upward, while delivering an effective rain protection and drainage. Flow rates range from few metric tons per hour to a maximum 270 t/h, targeting a residual sound pressure level of 85 dB(A) at 1 m from equipment. Stopson’s Vent Silencers are designed to reduce noise level of exhaust piping to the atmosphere for pressurized gaseous fluids, such as air, vapour, natural gas, nitrogen, oxygen, carbon dioxide, etc. They can be installed downstream any device acting as a link between a container of pressurized gaseous fluid and the atmosphere. The vent silencer can also provide high or low back pressure relief for the system ensuring proper operation. Successful installation of an engine exhaust silencer for Capwatt Maia Heat Power S.A. Cogeneration plant. 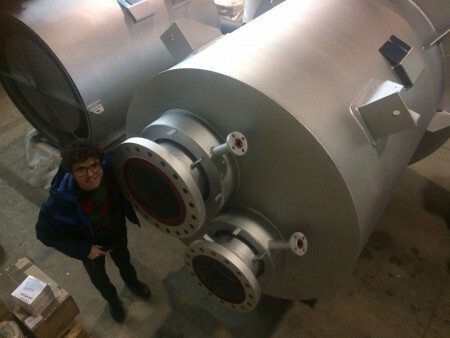 Stopson Italiana has recently supplied a large size exhaust silencer, SM Special Model, for Wartsila engine installed in a Cogeneration Power Plant, located nearby Maia, in Portugal. Stopson’s engine exhaust silencer has reactive and absorptive modules in a single body. 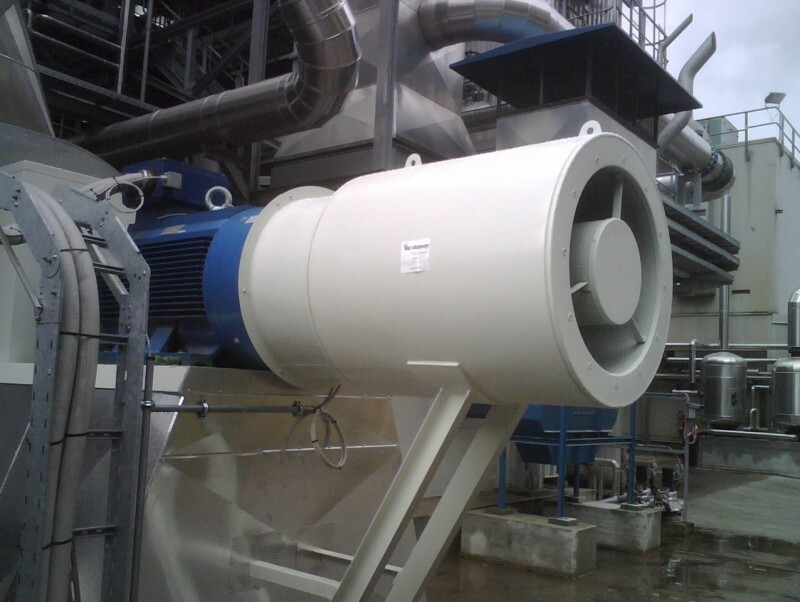 This acoustic device muffles noise caused by exhausting from cogeneration engine, i.e. as exhaust gases pass through the silencer, noise is diffused and progressively attenuated. The gas enters the first stage silencing chamber, where the noise is dissipated. Then the process is repeated into the second chamber, which reacts through a special Venturi with the first one. Main functional data: flow rate 45360 kg/h, design temperature of 374°C, pressure drop of 150 mm H₂O, 65 dB(A) residual SPL at 90° and at 1 m from the chimney outlet. Each silencer reduces noise differently: the larger the size, the higher the reduction. This engine exhaust silencer has required an accurate fuid-dynamic study in order to comply with problems of transportation and assembly, since the exhaust silencer total weight was of 10000 Kg, while ensuring high acoustic performance, in particular at low frequencies, along with with very low pressure drop. Stopson’s industrial silencers provide the best performance for all engine applications, either standard or customized models, they can reduce sound emission levels without affecting engine performance. After installation, acoustics performances are usually tested in order to prove compliance of actual noise emissions with required levels and to ensure plant sustainability within the existing environment.